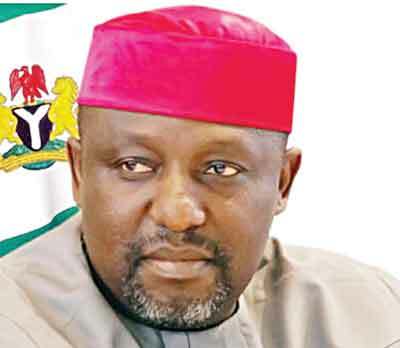 Imo state governor, Rochas Okorocha has announced the Imo state councillorship election, stating that the councillorship elections in all 645 autonomous communities in the state will take place simultaneously with the local government election on Aug. 25. He announced this in a statement signed by his Chief Press Secretary, Mr Sam Onwuemeodo, on Friday in Owerri. The governor said this was in line with his vision of ensuring swift development at the grassroots level. The elections are scheduled to hold alongside the local government elections on Saturday, Aug. 25, 2018. In line with the vision of Governor Rochas Okorocha and policy of the Rescue Mission Government in the state to take government to the grassroots and ensure swift development, the government decided to allow the autonomous communities to elect one councillor each. The councillors will be the bridge between the government at all levels in the state and the communities involved. "The local government elections apart from taking place in the 27 local governments, will also take place in the 645 autonomous communities for the sake of electing the councillors," the statement read in part. The statement urged residents of the state to maintain order and take seriously the restriction of movement during the period of the elections.